Over several months now there have been regular and numerous photos and/or press releases proffered by Senator Saland regarding the state budget and the appropriations he secured for local municipalities, educational agencies, and not for profits. 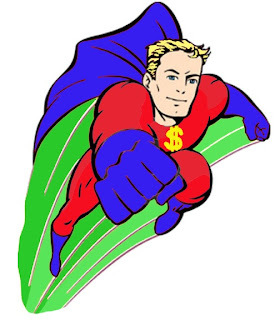 The press releases create an image for me of the Senator dressed in some super-hero tights (green cape and all) with the symbols “$$” embolden on his chest. Coupled with that image is the perception that the Senator single-handedly passed the New York State budget. Not a problem, what else is his press supposed to do? The public, of all political persuasions, has basically developed a positive image of the Senator over his years in office. Based on the Senator’s seniority and committee responsibilities, he is supposed to deliver for the 41st Senatorial District. Before we embrace his image and the recent efforts cast his assembly cohorts Mr. Molinaro and Lopez in this light, we have to think outside of Mr. Saland’s senatorial district and rethink what may actually be delivered. In a recent “Kingston Freeman” article there was an analysis of senatorial pork in the Hudson Valley. Five state senators from the region were mentioned in the article and Mr. Saland ranked last in terms of delivering cash to his district. Since senate districts have roughly the same population, logic forces me to believe the people in the 41st District are sending more money per capita to the state in taxes than we receive. What is not mentioned in the Saland press releases is the rumored $24,000,000,000 deficit that the state budget is facing (yes, you need 10 decimal places to reach a billion). In the game of government the NYS Assembly and Senate can appropriate but the Governor in the Executive Branch actually initiates expenditures. All those Senator Saland “secured” appropriations that were recently publicized for groups in Columbia and Northern Dutchess Counties may be like the weather phenomenon virga, rain that falls from a cloud but evaporates before it hits the ground. I do not know how tight fisted Governor Patterson might be or how much sway his office has over these appropriations but local agencies relying on Mr. Saland’s largess may find out over the next six to twelve months. However, this November voters in Columbia and Northern Dutchess should take these thoughts to the voting booth when they see in Row A Mr. Ken Dow’s name, the former Columbia County Democrat Chairperson, who is running for Senate in the 41st District. Mr. Dow’s challenge to Mr. Saland is a steep climb and if he were alone among upstate races it would be daunting. There were five, now six other state senate races at play this November. There have been a few special state senate elections where Democrats have won against odds similar to those facing Mr. Dow. This November the Democrats only need to win 3 to take over the majority in the Senate. The NYS Democratic Party is poised to win the contested seats and take over the Senate. Even with the Republicans in power Saland was short on delivery. To re-elect Mr. Saland should not be a forgone conclusion with the apparent shift in power in the Senate the on the horizon. The wise choice is to vote Row A for Mr. Ken Dow for the 41st Senatorial District to ensure we voters in Columbia and Northern Dutchess counties have a voice that’s listened to in the NYS Senate.